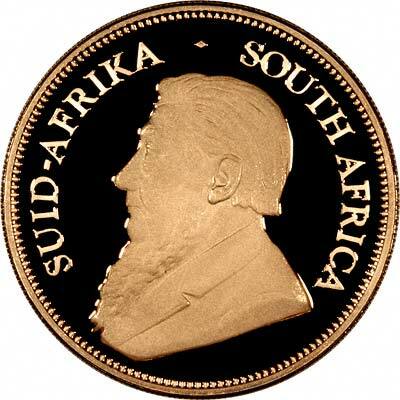 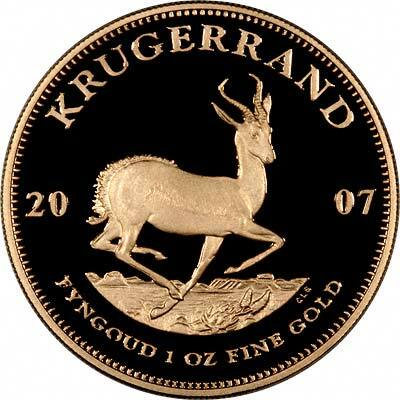 For specifications of proof Krugerrand sets, and other dates, please see our Krugerrand Proof Sets page. 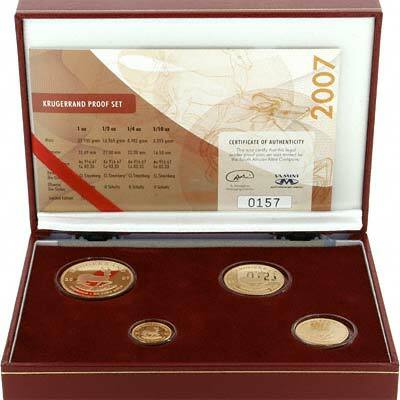 Naturally the proof sets contain one each of the four sizes, giving a total content of 1.85 ounces of pure gold. 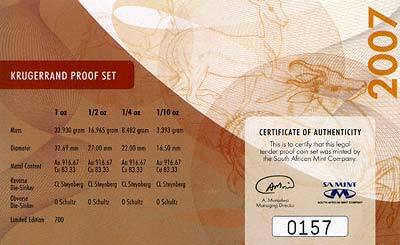 This set comes complete with certificate in a South African Mint red presentation box.